Roger Lush’s extensive and varied practice covers the full trademark lifecycle, from the inception of a brand, protection via the registration process, commercialisation of rights and enforcement in opposition actions, cancellation actions and litigation. Mr Lush enjoys longstanding relationships with clients across a diverse spectrum of sectors, ranging from media and entertainment, tourism, fine foods and wine, to pharmaceuticals and agricultural chemicals. He has experience worldwide, particularly in the United Kingdom and Europe. Mr Lush leads the trademarks team alongside Jonathan Day, representing and supporting high-profile clients including Polaroid, Bear Grylls, Allergan and Autoglass/Carglass. 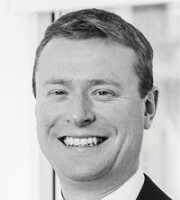 He guides clients through the complex issues surrounding trademarks, including clearance and brand counselling, applications, oppositions and cancellations before the UK Intellectual Property Office, the EU Intellectual Property Office and the World Intellectual Property Organisation, as well as litigation. Mr Lush is highly valued by his clients due to his “first class advice and quality service” (IP Stars 2017). Mr Lush has an academic background in law, holding a first-class degree in law with European legal studies from the University of Durham and the University of Groningen in the Netherlands.